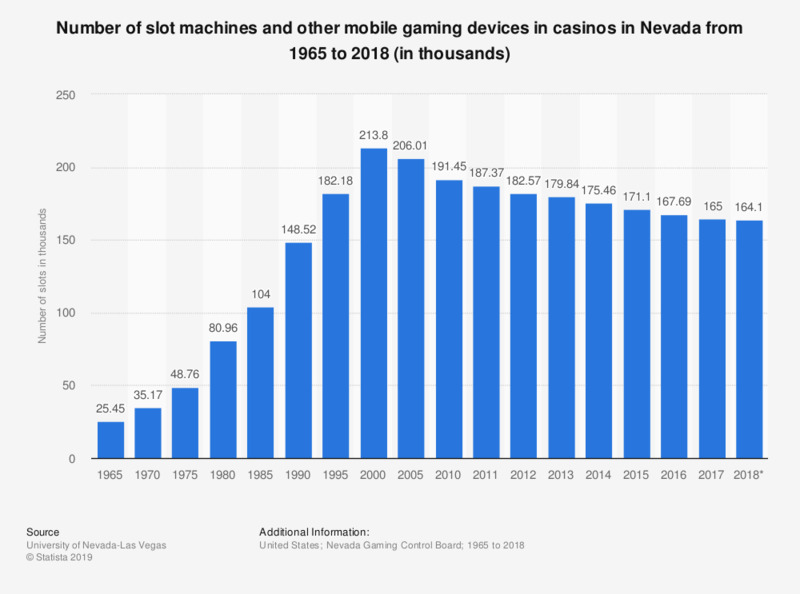 This statistic shows the number of slot machines and other mobile gaming devices in casinos in Nevada from 1965 to 2018. There were approximately 165 thousand slot machines and other mobile gaming devices in Nevada in 2017. * As of March 31.